ARE YOU THINKING OF BUYING A HOME IN SPAIN? Buying a house in Spain or Andalucia? When thinking about purchasing a property in a different country, there are many doubts and uncertainties that may arise. We'll try to give you the basic information you must take into account as well as a few tips. I ALREADY FOUND THE PROPERTY I WANT TO BUY. WHAT NOW? WHICH DOCUMENTS SHOULD I HAVE IN MY POSSESSION? The legal costs of a sale are usually around 10-12% of the purchase price for a secondhand home or 13-14% for a new home. The highest cost is the tax on the purchase of properties: The property-transfer tax for secondhand homes –8% in Andalusia– or VAT at 10% plus document duties at 1.5% when purchasing a new home. 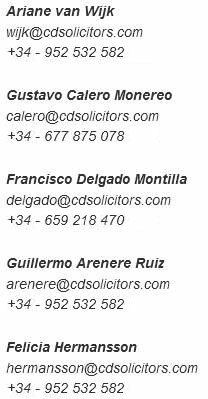 Other costs to be taken into account are notarial fees and the Property Register. 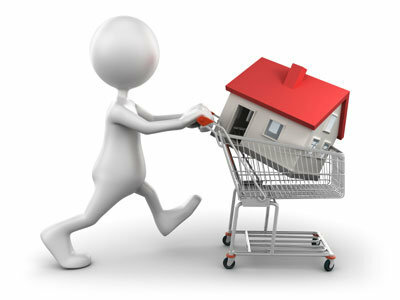 The fees of the property agency are usually paid by the seller and included in the purchase price. Once you have selected a property, the agency will ask you to pay a deposit, usually around 5,000 euros, to remove the property from the market and provide enough time to sign a private sales contract where the seller will be paid 10% of the purchase price. This holding document is usually a simple document that must include: the details of the sellers and buyers, the purchase price, the payment terms, the date of signing the private contract and the deed of sale. For more information about the entire purchase process, click here. If you're thinking about spending a significant part of your savings on buying a home, it seems logical to hire a lawyer to advise you and make the sales process less stressful. Beware of people who advise against hiring a lawyer to save costs or those who seek to provide legal advice and are not lawyers. If what you're looking for is a lawyer, you can ask for a certificate accrediting his recognition and/or a professional liability insurance policy. You should take into account that the average cost of a lawyer is around 1% of the purchase price plus VAT. Is it really worth saving 1% considering all the money you'll be spending? The lawyer you find should be independent and be very familiar with property law, being able to demonstrate some experience in this sector is always important. It may be helpful to review the public information available on the lawyer's website as well as customers' reviews. If they also provide a copy of the licence or deed of the property, even better. The short information from the register – nota simple- and the cadastral reference appearing on the property tax bill can be used to verify that the property is duly registered in the register and the cadastre, as well as that the persons selling it are its owners. It doesn't seem unreasonable to have an architect visit the property and carry out certain checks, such as measuring the built area –this way you'll know that the register and cadastre are accurate– and you'll also get a professional opinion about the state of repair of the property. Obviously, the architect will only be able to see defects that are apparent but at least you'll be able to rule out certain flaws within the property. If you're going to buy a home on urban land, it is important that you ask the council if it has a licence for construction and first occupation licence. The licence of first occupation is requested from the council once construction work on the home is completed. It is important to keep in mind that older homes –built before 1977– did not have a first occupation licence as this did not exist. It is also true that some recently built properties do not have that licence either for different reasons. Even though, in theory, the property cannot be occupied and used without that licence, this is actually possible and this is not necessarily an obstacle to buying the property. Verify that the development where the home is located is free of debts towards the council and has been completed, in order to avoid paying additional costs in the future. If you're going to buy a home on rural land, in this case the urban-planning situation is very different from the one explained for properties on urban land. The most important thing is to get information about when construction ended, whether the land has any type of special protection or if the council has started proceedings to re-establish lawfulness. In Andalusia, a regularization process has been created. With the information from the Property Register, the one received from the Council and the community of owners, you can see whether there is a debt on the property that could affect you as its new owner. This refers to debts such as a mortgage, liens, property taxes, community fees, etc. If there are any debts, the best thing to do is to have the seller pay them before signing the Deed of Sale or withhold the amount of the debt from the seller so that you can pay it yourself. For you to become the new owner of the property, you'll have to sign a Public Deed of Sale before a Notary and pay the seller the rest of the price agreed, receiving the keys to the property. Once you sign the deed, you need to start the process to record the home in your name in the register and cadastre, as well as pay all taxes. After this, we hope you enjoy your new home.